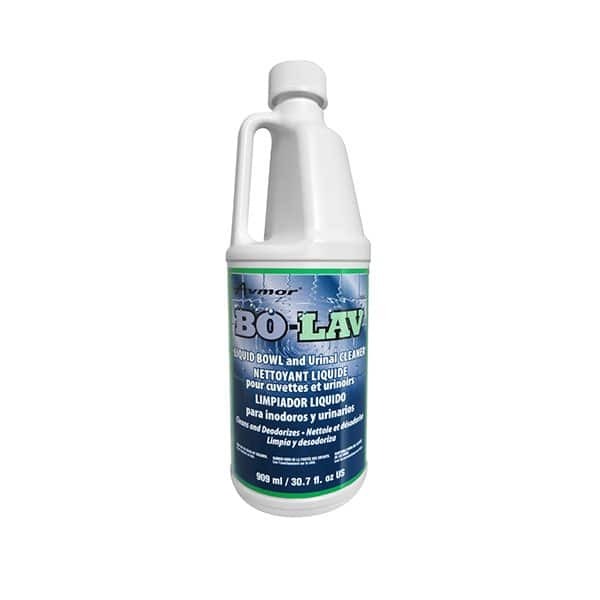 BO-LAV is a blend of acid and surfactant working in concert to remove hard mineral deposits through chemical action. Heavy duty. Ideally made for weekly use to remove stains and other soil from porcelain urinals and toilet bowls. TO CLEAN BOWLS: Holding mop over bowl, pour 115 ml of bowl cleaner into bowl water and swab entire bowl. Allow to act for 5 minutes. Flush toilet and rinse out mop. DO NOT USE ON SINKS, BATHTUBS OR ANY ENAMELLED SURFACES. Harmless to plumbing and septic tanks. TO CLEAN URINALS: Remove screen or strainer. 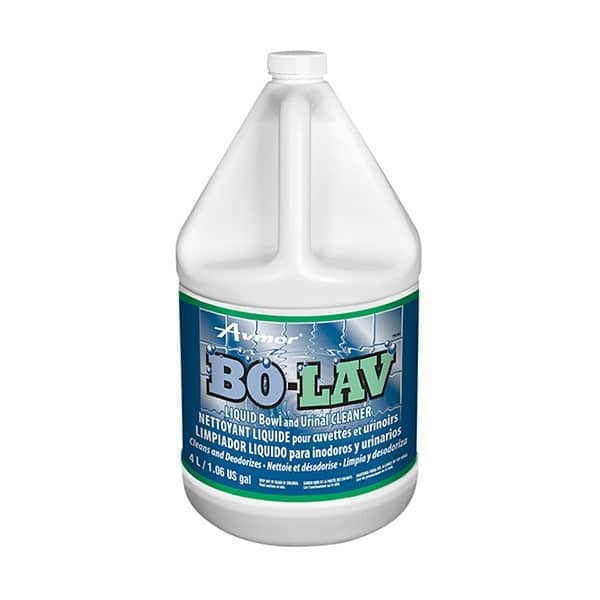 Saturate bowl mop with bowl cleaner and wet entire surface. Pour 115 ml around outlet and into drain opening. Allow to act 5 minutes. Next swab all urinal surfaces and openings until clean and deodorized. Replace screen or strainer and flush unit. Rinse out mop.